While Morris, Minnesota may not be able to support two large mainstream grocery stores, who’s to say that one man’s old, vacant store is not another man’s emerging world for entertainment and invention? One of the site’s hottest pursuers? A thirteen year old inventor and community leader, Ben Goldstein. Instead of limiting the choice for Morris youth participation in extra-curricular activities to be solely sports-oriented, Goldstein proposed, “Why not have the community build an alternative option: A Geek Entertainment Center and Maker Shed down at the old, vacant Coborn’s store?”. 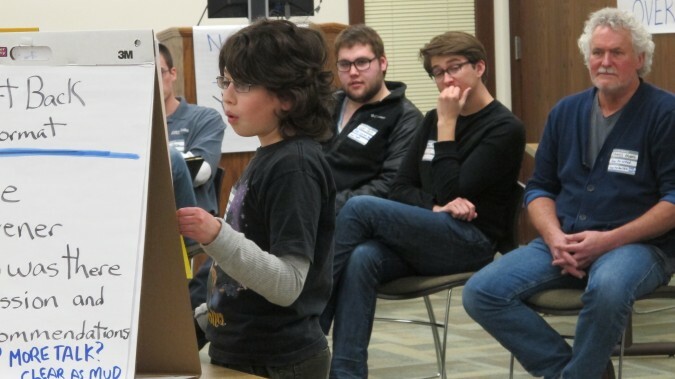 This young visionary convened a group to explore the idea in full, late February, at the Morris Listening Session, which met at the WCROC, an evening facilitated by CURE with InCommons, and co-sponsored by the Center for Small Towns. What is a Geek Entertainment Center and Maker Shed you ask? “We’re considering a trading card league, a video game arcade and mechanics.” He explained, “It’s a combination Maker Shed, with a Fleet printer and some other tools, like welders, available to the public for people to build what they want.” Other attractions under consideration for this venue include: a Battlebox arena for robot matches; solar panels on the roof; and a free wifi hotspot. 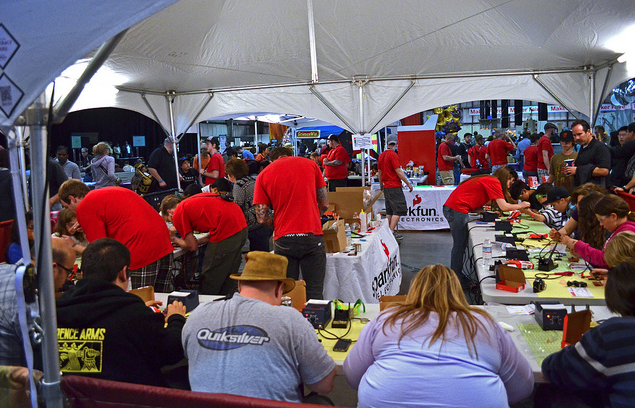 This is a Maker Faire in San Francisco, CA. For those who are still not quite familiar with the concept of the Maker community, this link, sponsored by Make magazine, points you to exactly the intellectual demographic Ben is addressing. 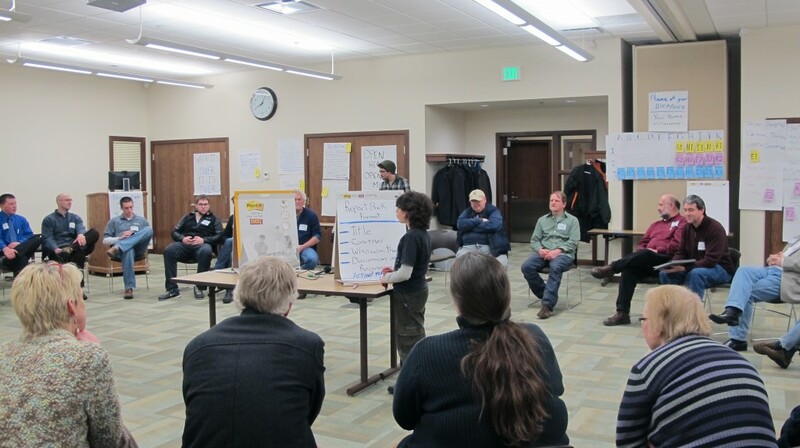 Do you have an interest in this topic or have experience re-purposing an old grocery store site? Goldstein may be interested in consulting with you further. And if you’re the editor of Make magazine, we submit that your next best-selling story and featured inventor is right here in Morris, Minnesota.